Divorce can be a very expensive item. Competent and experienced family law attorneys regularly bill hourly from $ 175 per hour, to $ 300 per hour or more. In addition, they delegate to staff who also charge hourly. The more the argument, the more the time, the more the expense. 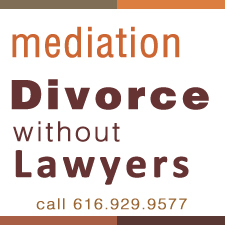 Mediation is less expensive, but not cheap. Experienced and trained mediators charge between $95 per hour, to $ 300 per hour or more. It costs so much because the professionals involved have extensive training and expensive overhead costs. It skyrockets when a family cannot resolve basic items outside of the courtroom. Your divorce is already difficult, try to realistically assess what the fight is about.